Nikita is the love of my life and a son of CH. RUS, UKR, MOLD, BLG, BLP Super Bulli La Monarchia-Mirabeau. 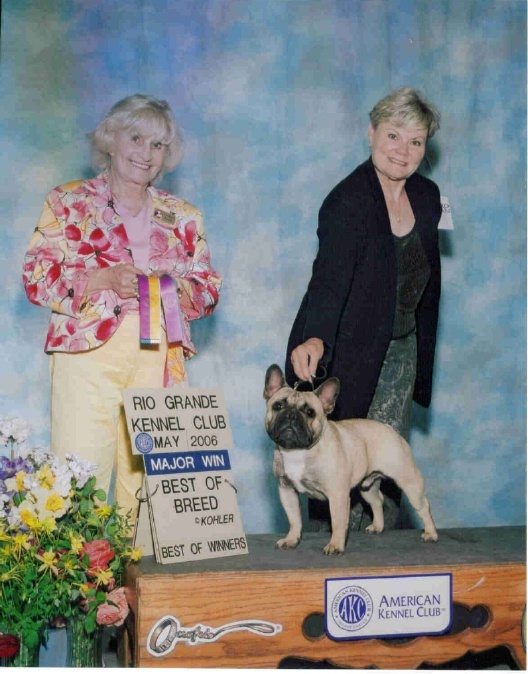 I am eternally grateful to Karen Fore of Fancibul for allowing me to co-own this absolutely fabulous frenchie. 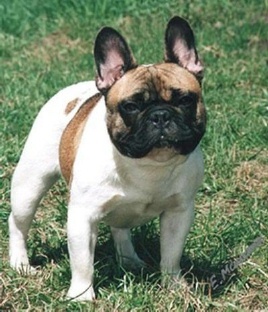 To me he is the perfect frenchie in size, structure and disposition. 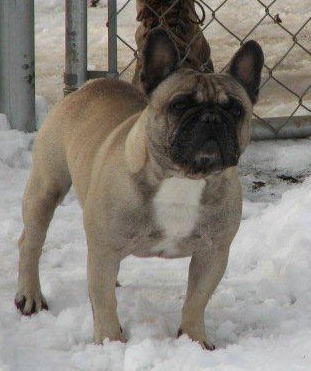 I thank Karen with all my heart for her dedication to the French Bulldog breed and allowing me to add him to my family. 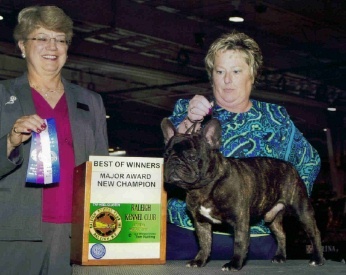 Harry, retired as a Champion (CH) with 12pts including majors towards his Grand Champion Title (GC). Harry is neutered, he did not pass my health tests and will not be used in the breeding program. He is retired and enjoying life as a happy couch potato. 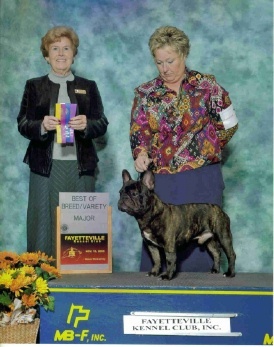 CH Super Bulli La Monarchia-Mirabeau.